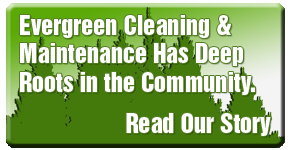 Since 1980, Evergreen Cleaning & Maintenance has provided comprehensive, effective janitorial services to the businesses of Edmonton and the surrounding areas of Alberta. While commercial properties are our specialty, we have years of experience cleaning residences and industrial properties alike. Whether your company is moving into a new building, your construction site needs a final clean-up before completion or you’re simply looking for a monthly cleaning service for your home, Evergreen Cleaning & Maintenance is here to help! 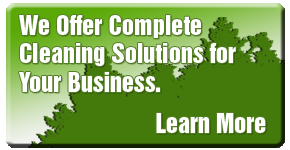 A family-based business, Evergreen Cleaning & Maintenance employs only hard working, dedicated, reasonable, caring, highly trained and friendly custodial professionals. Our owner and operator Nishan is a natural born cleaner and doesn’t get along with dust and dirt. It’s our mission to help you and your employees work in a clean, dust-free environment. Insured by WCB, our staff will go out of our way to please you. Please let us know how we did – while we are impeccable with our work, if you are displeased for any reason then we’ll come back and correct the mistake. We also offer flexible cleaning schedules; you can choose to have your place cleaned in the day or evening and even on the weekends depending on what works best for your business. Call us anytime and we’ll be there the same day! We also have great references available upon request. Evergreen Cleaning & Maintenance Ltd belongs to the Workers Compensation Board (WCB). Every contract will get 1 office carpet cleaned for free – up to 500 square feet!